“Montana was far ahead of the rest of the nation in passing an equal pay law 100 years ago, yet we know that alone hasn’t been enough to close the pay gap,” Governor Bullock said. I will never stop fighting for preschool for Montana – and that includes for the remainder of this session. “These are real results for Montana and it shows that childhood hunger is a problem we can continue to solve,” said Governor Bullock. Our rural communities are full of talent and it’s time for governors, industry, and education partners to work together to give them the tools they need to succeed. 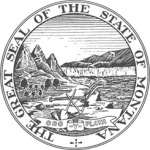 For over 100 years Montana has led the way in clean government and transparent elections, despite attempts by out-of-state interests to time and time again overturn the will of the Montana people. Governor Steve Bullock spoke at the ribbon cutting ceremony, discussing the future of disability advocacy in Helena and the steps being taken to lead the initiative forward.